Spring is in bloom in most places, trees and flowers are growing (or at least the snow is melting), and more agencies and marketers are upgrading! It’s the perfect season to learn and master DoubleClick Campaign Manager based on your role and how you use the product. We offer multiple learning options, from the basics to more advanced topics like In-Stream Video, Attribution, and more – so come check us out! Register for the eLearning and see upcoming webinars via the Training page in the DCM or DFA Help Centers (sign-in required). Are you an ad trafficker, analyst, or media planner just getting started? Try DCM Academy for easy-to-use learning paths that guide you through core Help Center articles and online training material, including the recently-launched DCM Fundamentals eLearning and Certification. 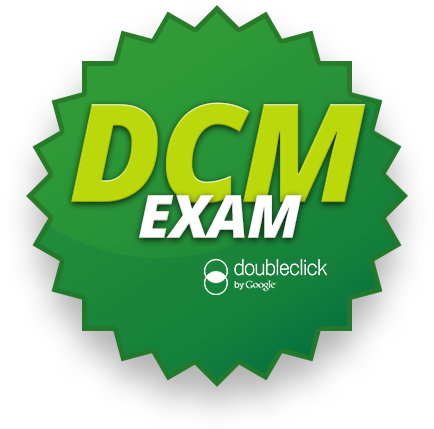 Pass the exam and get a printable certificate of completion demonstrating your knowledge of DoubleClick Campaign Manager. Whether you’re starting to upgrade to DCM or you’ve already made the move, attend these webinars to better understand and use the product. Similar to the eLearning, this 2.5 hour webinar will teach you everything from how third-party ad serving works to the steps needed to set up Floodlight tags and traffic your first campaign. This session also touches on Remarketing. Attend this webinar if you need an introduction to the fundamentals and want to learn best practices. Learn what's changed in DoubleClick Campaign Manager. Get a demo of the key differences compared to DFA6. Attend this webinar if you’ve been using DFA6 and want to know about functionality and workflow differences between DFA and DoubleClick Campaign Manager before you upgrade. Join our product trainer for a live walk through of how to create a campaign and assign campaign elements. Prerequisites: This session is a companion to the DCM Fundamentals eLearning, and assumes that attendees have taken the DCM eLearning and Certification or attended the DCM Fundamentals webinar. Before attending, you should already know how DoubleClick Campaign Manager defines a campaign, placement, ad, and creative. In these webinars, we’ll discuss featured topics to help you more effectively manage your campaigns. Before attending, make sure you’re familiar with basic reporting and DFA6/DoubleClick Campaign Manager concepts. In this session, you'll learn the basics of trafficking In-Stream Video creatives in DCM. Learn how to run reports in Report Builder, and slice and dice data in the Summary tab (dashboard view). Get a demo of Reporting along with how to pull common reports, including Standard/Performance, Reach, and Floodlight. In this session, you’ll learn about the attribution options available in Reporting, and uses for Multi-channel funnels, Attribution, and Modeling. This session is also helpful if you’re upgrading from DFA to DCM and want to expand your knowledge of what the Reporting tool offers. Prerequisites: Users should have familiarity with ad trafficking in DFA6 or DoubleClick Campaign Manager before attending these sessions. If you’re not familiar with DoubleClick Campaign Manager or DFA6, attend the Fundamentals webinar session first. Still using DFA6? That’s okay, we still offer plenty of training! Get trained online with DFA Fundamentals eLearning and Certification (eLearnings available in Spanish, Japanese, Portuguese, Swedish, Italian, and more). We also offer webinars for DFA6 Fundamentals and MediaVisor. DFA Fundamentals is the first step if you’re new to third-party ad serving and DFA6. This webinar mainly focuses on the basics of ad trafficking, but also touches briefly on Floodlight tags and DFA Reporting. Learn the most common uses of MediaVisor, including how to plan and create campaigns, advertisers, and site placements. You’ll also learn how to send RFPs and IOs, as well as how to traffic placements from MediaVisor to DFA. Some sessions mention prerequisites where we recommend background knowledge. Be sure to note these to get the most out of each session. Lastly, be aware of any regional time differences before enrolling in any live sessions. Running into a scheduling conflict? Check out the pre-recorded webinars in the DCM Help Center, and the DFA Help Center – you might find a pre-recorded session ready to watch. Don’t forget to sign up for the DoubleClick Digest to get the latest DoubleClick news, research, events, and product updates! Build your expertise. Get Studio Certified.